After all these years—including 43 starts at Augusta National, and his sixth and final legendary win in 1986—the Golden Bear’s love affair with the Masters is anything but over. This year, Jack Nicklaus will participate in the tournament’s family-oriented Par 3 Contest, with 15-year-old grandson Stevie Nicklaus as his caddie. 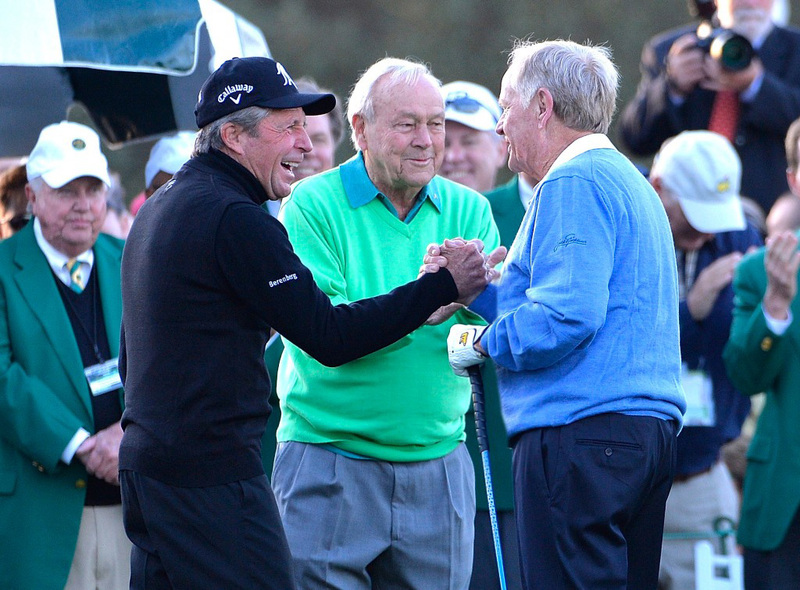 As has become tradition, Nicklaus will play with long-time friend Gary Player. But missing this year will be the final piece of The Big Three—Arnold Palmer. Battling a shoulder injury since December, Palmer will not play in this year’s Par 3. Taking his place is two-time Masters winner Ben Crenshaw, who, at age 63, will make his final Masters Tournament start this week. ESPN will air the Par 3 Contest on Wednesday, beginning at 3:00 p.m. EDT with the Nicklaus-Player-Crenshaw group. Par 3 play actually tees off at noon, with live scoring available at masters.com. Then, Thursday, Nicklaus will again serve in his role as an Honorary Starter of the storied major alongside friends and competitors Arnold Palmer and Gary Player—themselves four-time and three-time winners, respectively, at Augusta. The Honorary Starter tradition began in 1963 with major champions Jock Hutchison and Fred McLeod, each of whom won a Senior PGA Championship at Augusta National. Since then, only the Big Three, Byron Nelson, Gene Sarazen, Ken Venturi, and Sam Snead have done the honor. The 79th Masters tournament airs this week on ESPN and CBS. ESPN will carry the Par 3 Contest from 3:00 p.m. to 5:00 p.m. EDT on Wednesday, April 8, and live television coverage of Tournament play from 3:00 p.m. to 7:30 p.m. EDT on Thursday, April 9 and Friday, April 10. CBS will air live TV coverage of Tournament play from 3:00 p.m. to 7:00 p.m. EDT on Saturday, April 11, and from 2:00 p.m. to 7:00 p.m. on Sunday, April 12. Jack Nicklaus III, grandson of Jack Nicklaus, caddied for the Golden Bear in the Par 3 Contest in 2008.